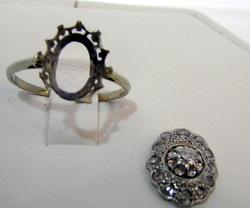 This antique ring was left in pieces. 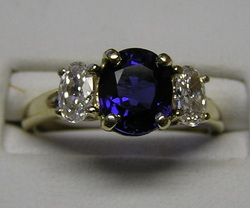 With our Master Jeweler's magic touch, this antique was restored to its original, stunning form. 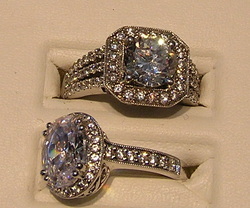 Our customer liked the setting of the top ring but preferred the band on the bottom ring. 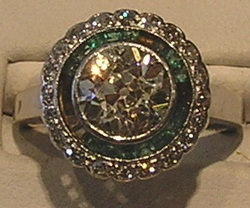 This ring was originally 14K White Gold and was missing some emeralds. Our client also wanted to change the look of the plain band. We matched the missing emeralds and created an entirely new look in Platinum. 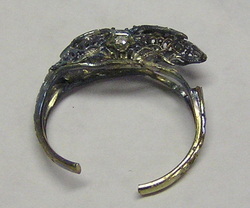 This antique ring was run over and smashed by a car. 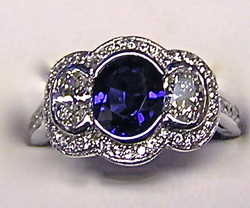 This ring was brought to us after a number of jewelers rejected the job. 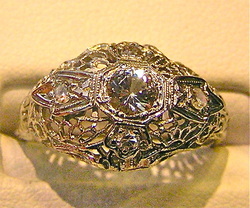 Our Master Jeweler carefully repaired this antique ring to the delight of our client. 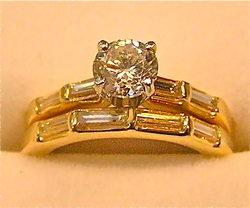 This 14K yellow gold ring had sentimental value but was aesthetically unpleasing to our client. 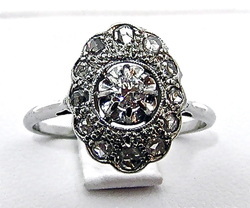 Surrounded by over .5ct of diamonds in a new platinum setting, this ring is the our client's new favorite piece. 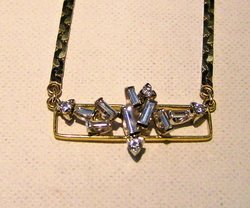 Not only was the shank of this setting broken, but the style was dated. 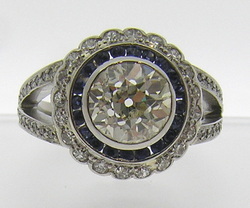 This beautiful ring now looks exactly how our client wants it to. 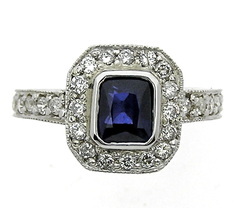 This sapphire and diamond ring had lost its luster and the style was dull. The original sapphire and diamonds in an entirely new platinum setting surrounded by pave set diamonds with an eternity band.